I hope you all had a wonderful Thanksgiving! This is one of my favorite holidays, as it revolves around some of my most loved activities- spending time with good friends and family, and indulging in delicious food and beverages. While chocolate was not on the menu yesterday, I want to give a public thanks to the cacao tree and the goodness it produces. As I sit quietly here and let a piece of exquisite Michel Cluizel Grand Noir chocolate melt slowly in my mouth, it’s easy for me to convey why I have such a passion and respect for chocolate. This kind of chocolate, purely made, with no unnecessary additives, honors the terroir where the cacao bean hailed from. If you think about it, it’s quite amazing that I can smell berries and bark in a fine chocolate bar and taste such depth of flavor when all that’s in it is cocoa liquor, cocoa butter, sugar (very little), and bourbon vanilla pod. It is this recognition and knowledge (of how a cacao flower bloomed into a colorful pod that bore sweet fruit, and beans that then went through a deliberate process of fermenting, drying, roasting, shelling, milling, conching, tempering, and finally moulding, into the bar that I now am consuming), that elevates the whole act of purchasing and eating a chocolate bar. Simplicity retains integrity and passionate artistry wields raw ingredients into complex and bold flavors that taste different to every tongue. I feel honored to be able to taste this chocolate dance around in my mouth as the flavors develop. 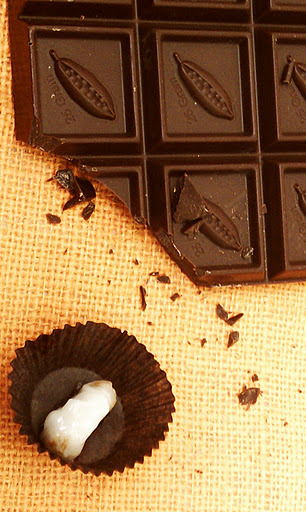 To me, chocolate is not a sweet kick I search for when I’m feeling low on energy or down in the dumps. It’s something I experience. With intent and appreciation. It provides this calm and pleasure that makes a bad day seem not so bad. It is pure joy when enjoyed properly, and it allows me to develop my palate and to wonder about the land and flavor profiles in each country across the equator. It’s delightful! So I’m thankful to the chocolate makers’ who believe in showcasing a bean’s purity and in picking quality above all. I’m excited that chocolate is making its way back up to being recognized as a valuable, nuanced treat. Not only was the cocoa bean so valued in the past, as money (that did indeed grow on trees), as a cultural tradition (still today, in places like Panama), today it is slowly being revered as a superfood, and being explored in its purest form to extract unique and subtle new flavors in a way similar to that of grapes for wine-making. 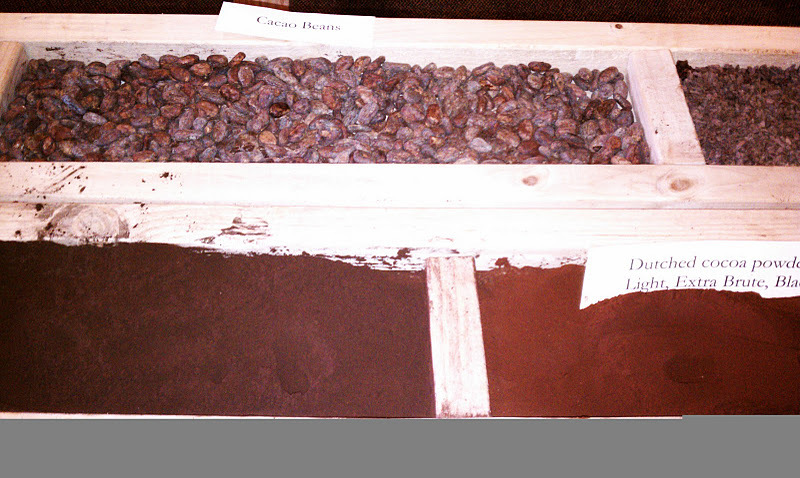 As I take you through the history and origins of cacao and how to taste a bar I hope you too develop a grander appreciation for its existence. Have you seen the news about Nestle’s investigation into child labor? Indeed, I did see the link, a friend passed it on to me yesterday as well. I just haven’t had time to post on it! Thanks for keeping me in the loop. Hi Monali! I checked on how replies work on your blog, I can see in my feeder that there are now 2 comments on the blog, but didn’t receive a direct reply from you. Once I clicked on the comment trail, it took me back to your blog and I saw your response. Monali, you are to chocolate what a viticulturist is to wine! I love your appreciation of chocolate and your refined taste and perspective on it as not only a superfood, but a delicacy. I think the world has been taking chocolate for granted – making it too cheap, too processed, and too accessible compared to what actually goes into making it. Thanks for the reminder to appreciate it and be mindful of the environmental, human rights and political issues surrounding it. Oh! You made my day. The world HAS been taking chocolate for granted! I am so grateful you recognize this. I look forward to further discussions on this all-important topic. Great post, M! Mmm all that choc talk makes me crave some in-depth bar reviews… I had the Trader Joe’s 70% with caramel and black sea salt recently, was delish but how good are they about sustainability, fair trade, etc. ?